Aero Express is the only US Authorized Distributor for the Tel-Instrument T-36C Ramp/Bench Test Set. Aero Express will buy, sell, trade, and rent the T-36C depending on your needs. 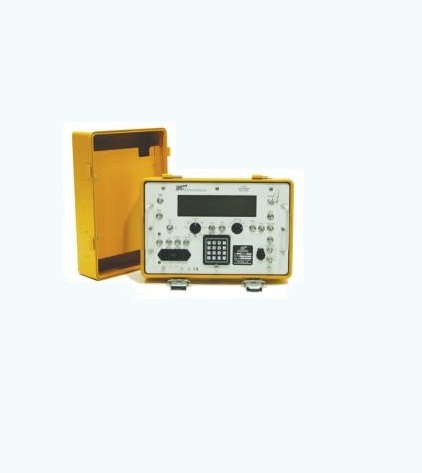 The T-36C is a ruggedized, user-friendly, high-precision instrument for rapid functional testing of VOR, LOC, GS, MB and low-mid-high-VHF AM/FM COMM avionic equipment. The T-36C can be operated in either the knob/switch mode, providing an operator dressed in protective clothing with accurate go-no-go testing on the flight line, or the keyboard mode, providing full function testing and diagnostics. Further flexibility is provided by the T-36C’s ability to store three pre-selected carrier frequencies and output power levels for each operational mode. The keyboard provides complete control of most parameters, resulting in a high level of unit flexibility. Express Calibration is the Authorized ISO-17025 Calibration and Repair shop for the Tel-Instruments TIC T-36C. Visit www.expresscal.com for full capabilities.